New and improved comment experience, all drag-and-drop editor, default views, dark mode, and more – learn everything about the most recent features and enhancements that make Nuclino even better. We have added a brand new &apos;Activity and comments&apos; menu where you can add comments to an entire item, mention your team members to grab their attention, and keep track of various item activities, such as inline comments and item archival and deletion. 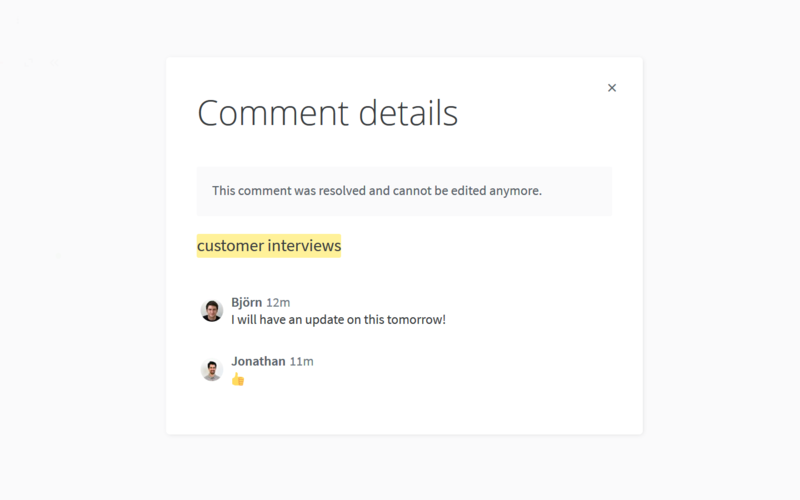 You can also now easily access resolved comments – simply click on the relevant entry in the &apos;Activity and comments&apos; menu. Need to reorder table rows? Move a task to the top of the list? Reorganize paragraphs? We have released an all drag-and-drop editor for Nuclino that will make cutting and pasting a thing of the past. Simply hover over any element and a drag handle will appear to its left. 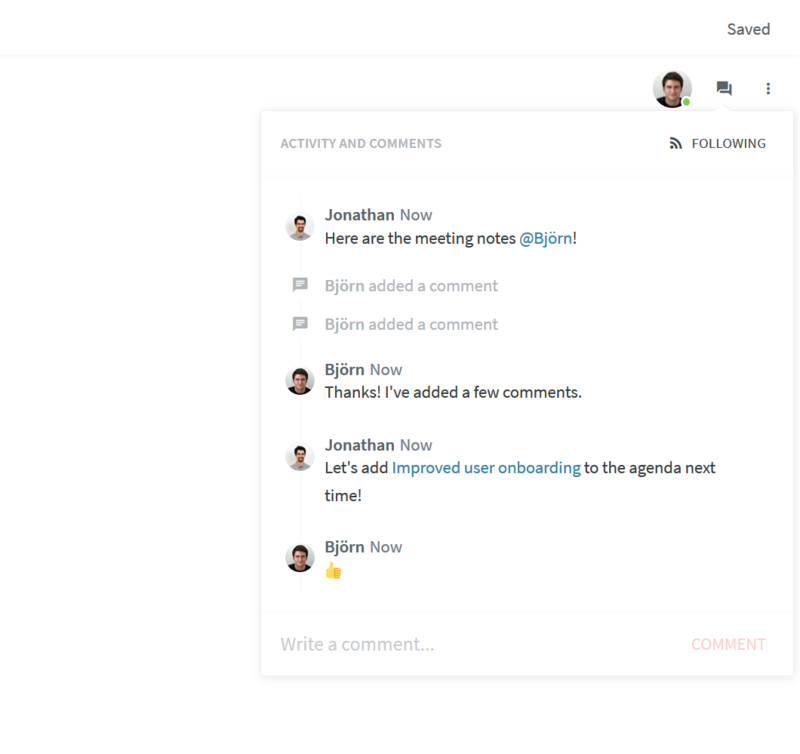 You can now set a default view for your workspace! Simply right-click on the view tab or go to the workspace settings – learn more in our Help Center. A notification about a comment will now be automatically marked as read as soon as you view that comment. The markdown export will now use the GitHub Flavored Markdown syntax for simple tables. Embedded YouTube videos can now start at a custom timestamp. Multiple enhancements to the board view.